Sandra graduated with a BA from the University of Melbourne, majoring in and French and German language and literature. She taught both languages for a number of years, and travelled extensively, living in Germany in the late seventies. She is a fluent speaker of German and has a deep interest in German history and culture. In 1998 she graduated from Burnley Horticultural College. Since then she has operated her own successful and rapidly expanding landscape design business out of Melbourne. She designs in a variety of styles, but a constant theme in all her work is the use of plant material for structure. She has a very broad plant knowledge. 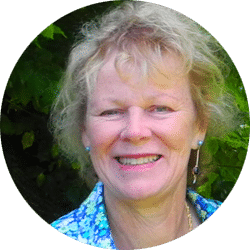 Her work has been featured regularly in the print media and on television, and her gardens have been open to the public through various open garden schemes, and in the biennial Garden Designfest since its inception. Sandra lectures in landscape design and plant selection at the Burnley Horticultural Campus of the University of Melbourne, and is currently President of the Friends of Burnley Gardens.